As a leading search Engine Google is concerned about giving the right information that are genuine, fresh and reliable. For this purpose they innovate newer algorithms. 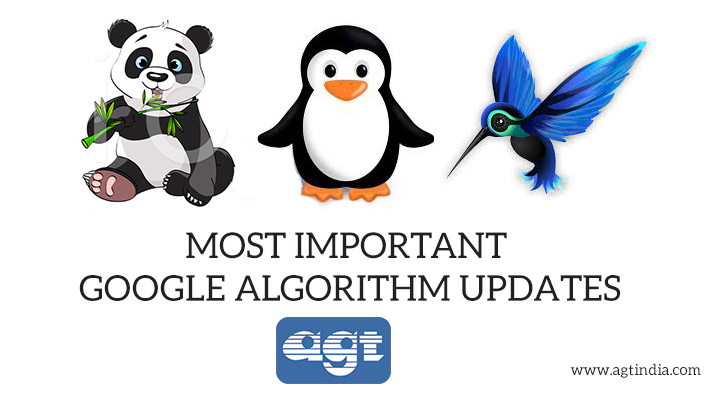 It is important that SEO experts keep a close eye on Google algorithm updates because, these updates are responsible for the fluctuations in search engine ranking and traffic of websites. Every year the search algorithms are changed many times which affects the search engine rankings in a significant way. If SEO experts have to deliver best organic results to their clients, they should understand the algorithm of search engines constantly. Google Penguin Algorithm was launched in the year 2012 to eliminate the black hat techniques. This update eliminates the websites with high keyword stuffing and inappropriate back links. The only way to recover from penguin penalty is building good links. Humming Bird Algorithm was launched in the year 2013 to make search engine more user friendly. This update focuses more on the meaning of each words in the whole query rather than single phrases. Simply the goal of the update is to provide the web pages based on the meaning of the query rather than pages matching few words. Google Pigeon Algorithm was launched in the year 2014 to increase the ranking of local listing. This update helps to list more accurate and relevant search results for local queries. This was the most useful update for users and also local business. Mobilegeddon Algorithm was launched in the year 2015 to bring more mobile friendly websites. This update gives priority to web sites that has good responsive design website. Mobile friendliness was the major update which had a great impact in SERP. These regular updates of Google algorithms made SEO job very challenging. Analyzing and having deep knowledge in Google updates will make your webpage to achieve better place in Google results. After all our customers pay us for our expertise and we better be current with these facts.